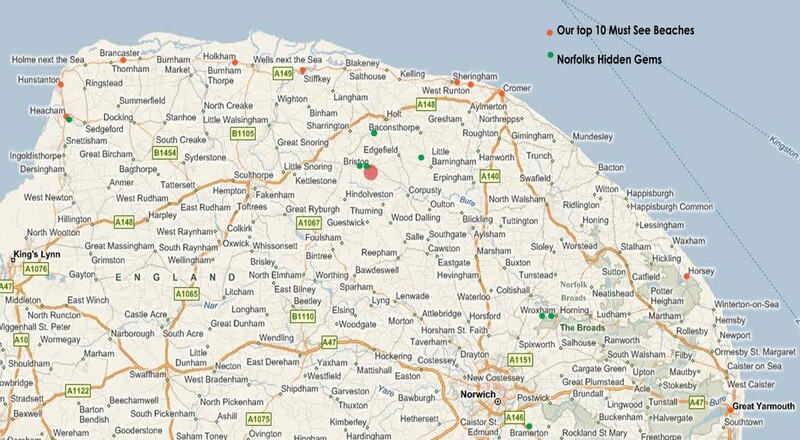 These are Norfolks Hidden Gems favourite beaches, from the West to the East of the Norfolk coast. 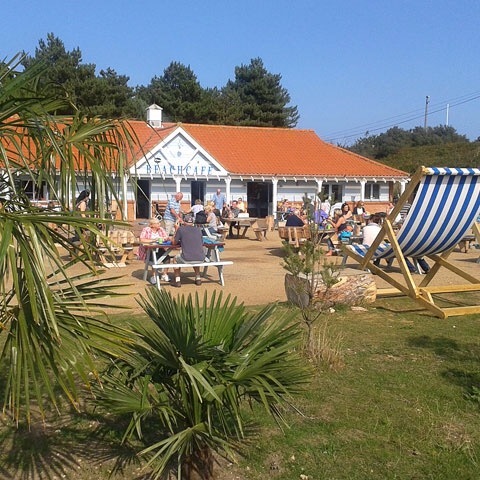 Hunstanton is everything you would expect an English Beach resort to be. It has ice cream and sweet shops, sandy beaches, bucket s and spades and even a fun fair. If you want rock pooling and sand come to Hunstanton. Old Hunstanton has the unspoilt beach vibe, relaxed, open, peaceful and sandy, brilliant for dog walks. There is lots of parking available in the area and activities for families, come rain or shine. A great family favourite in season and walking holiday favourite out of season. An extensive coastal area famous for wild birds, sandy beach and Roman Fort. Lies near Brancaster Staithe a fishing village famous for mussels. The Norfolk Coastal Path you will take you to the Roman Fort of Branodunum, an Ancient Monument. Brancaster Beach itself has miles of golden sand to enjoy, long or short walks, an awesome place for building sand castles. A great family day out as there is lots to do to fill up a day. Holkam estate is just beautiful, there’s the pine tree forest walks (great for dogs, kids, big kids alike) tree climbing a must, then the sand dune jumping that could last for days in front of the forest. The crazy tidal sandy beach is a must but make sure you don’t get caught out! Many have. Close by you can grab a little train into wells next the sea itself. So worth investigating on arrival if you fancy crabbing or fish and chips for tea. In a nutshell: Crabbing, fish & chips, harbour wall, Dutch pancakes, amusement arcade, pubs, great kids park. It’s a great mix for all the family, and also the start of a great coastal walk down to the holkam estate. I love it and we visit every visit, even out of season. East Runton is a fantastic place, essentially its a beach with a cafe/shop however in the area there is a few more things to do. When the tide is out , there is agreat opportunity to go crabbing in the rock pools .If you have a GPS or phone with apps and are in to Geocaching, http://www.geocaching.com there are several caches placed around the village. Climbing Incleborough Hill is a must as the view of the coast on a clear day is second to none. Kite flying on the beach is a must as well as the usual bucket and spade. It’s a mixture of rocks and sand, So take care with children, crocs are a must in the sea 🙂 Parking is charged per day, there is plenty of it. North Norfolk coastal town, home to the poppy line railway, that takes you to almost Holt. The beach here is mostly rock, however rock pooling a must, and a trip for an ice cream into town. Souvenir shops, galleries and cafes. A recent update to the coast is the museum that has popped up on the sea. Nothing like it pure heaven perfect for couples, families and retired.